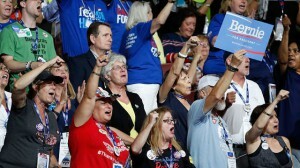 Bernie Sanders announced recently that he would launch a nationwide effort to help elect Hillary Clinton to the presidency, promising to fill up stadiums in key swing states. He’s headed to New Hampshire for Labor Day rallies and seemingly is pulling out all the stops to help the Clinton campaign. Good for him. And it seems to be convincing his supporters to do the same: A Pew poll finds that more than 90 percent of his supporters are solidly behind Hillary Clinton. 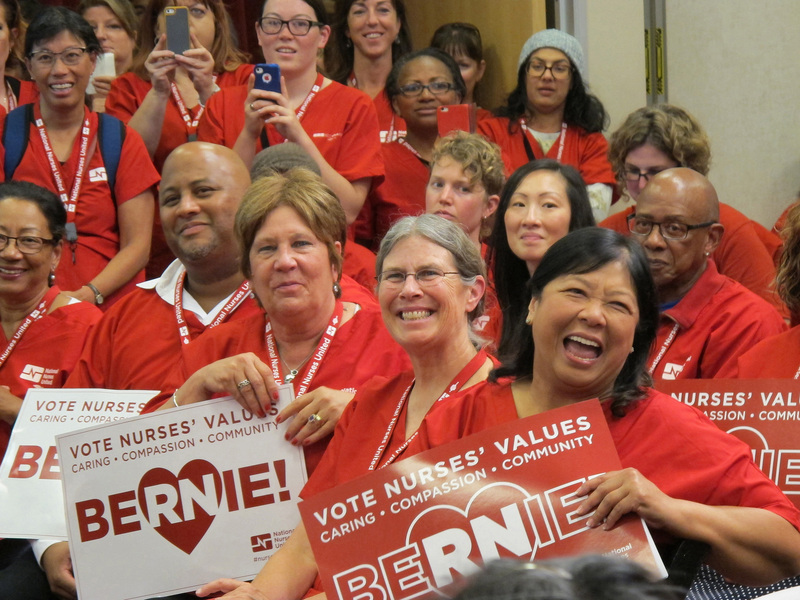 Nearly all of his major supporters have gotten the message, except for one lone standout: the California Nurses Association and its affiliate, National Nurses United. 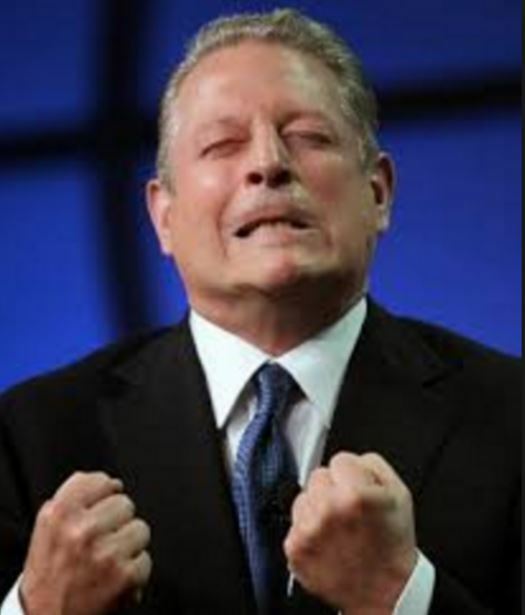 None of this should come as a surprise: this is the same union leadership that endorsed Ralph Nader rather than Al Gore in 2000. We know how that election turned out. At the time, well-respected Assemblywoman Helen Thompson of Davis, a registered nurse herself, called that move a “political and tactical mistake.” And when the Florida results were tabulated, that proved to be true, with Gore narrowly losing. And, something the union still fails to admit, along with it were lost the chances of improved health care for millions of Americans. Yet that lesson seems like one the union may soon repeat. And the antics of the union — once held in high esteem for its publicity stunts that used to attract widespread media attention — are beginning to come into question from within the media and the labor movement itself. (Having personally sat as a delegate, in front of several members of the union’s leadership, I can attest to these antics, including disrespectfully booing First Lady Michelle Obama and even President Obama). Lewis also noted that “The nurses’ stance sets them apart from their union colleagues — and far from the Working Families Party, a longtime bastion of Sanders support.” The Working Families Party voted to endorse Clinton after more than two-thirds of its members voted in support of that move. The Communications Workers of America and the American Postal Workers Union, also backers of Sanders, also have endorsed Clinton. As has the Amalgamated Transit Union, considered by many as the most liberal union in America, which added its support last week. Earlier in the year, major unions like SEIU, AFSCME, NEA went big and early for Hillary Clinton. They deployed active field campaigns in key battleground states. Bussing Bernie’s backside Not CNA. It deployed souped-up a “Bernie Bus” that traveled around the nation, burning through more than $5 million of union members’ money, funded by an independent expenditure committee, for which Sanders received heavy criticism. The bus’s main feature appears to have been for its members to take selfies with, and the union’s website still features a “Bernie Store” where you can order a “Bernie Sanders Head Tattoo” for 15 cents. Even in the union’s home bastion of California and neighboring Nevada, the effort did little to help Sanders, who lost both states to Clinton. Worse, the SuperPAC-ish effort sometimes left the Sanders campaign uncomfortable; and whenever Sanders tried to beat up Clinton for her SuperPAC support, the media pointed to CNA’s effort backing Sanders, undermining Sanders’ message. 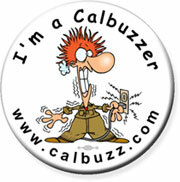 This $5 million failure follows several other expensive political and media flops by the union. 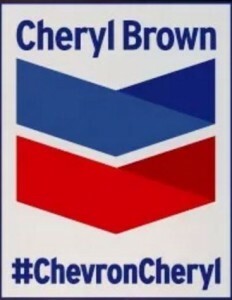 That candidate, known as “Chevron Cheryl” also is a backer of fracking. 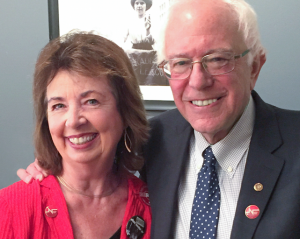 Yet union leader RoseAnn DeMoro says one of the leading reasons she didn’t support Hillary Clinton was because of her fracking stance. Go figure. In late 2014, the union tried to take political advantage of the Ebola scare. At a press conference outside the governor’s office calling for increased protective equipment to prevent exposure for nurses (Brown didn’t attend), DeMoro was confronted by reporters who remembered her union’s opposition to legislation that would have required health care personnel to get annual flu shots or wear surgical masks. An indignant DeMoro refused to discuss the apparent hypocrisy. 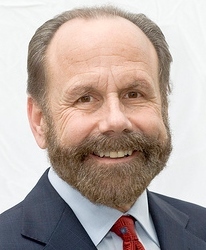 Slashing innuendo Last week, the union was it again, when it attacked progressive Senate Democrat Jerry Hill, who has a 100% rating on his legislative scorecard from the California Labor Federation. While he has been endorsed by for re-election by the union coalition, CNA essentially accused him of being a stooge for right-wing political interests. “There is a chilling undertone to this legislation that parallels the anti-regulatory agenda of the far right American Legislative Exchange Council in seeking to eliminate regulatory protections that are critical to health and safety oversight on public boards,” wrote CNA co-president Deborah Burger in assailing Hill. It’s that kind of “bomb-throwing” that reduces political effectiveness, whether it be in California’s capital or on the national stage. Can CNA redeem itself? DeMoro told Bee columnist Morain that she shudders at the thought of a Trump presidency. 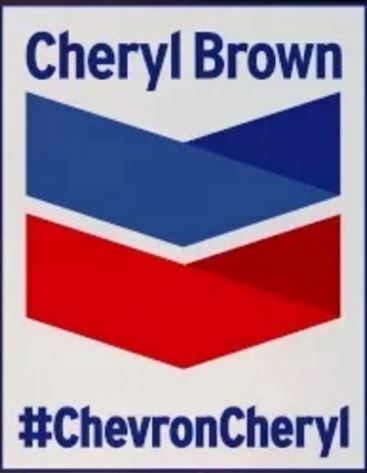 Perhaps she can use Labor Day as an appropriate time to look at her history, and join the rest of organized labor to prevent a repeat performance of her 2000 Bush-Gore election antics. Steve Maviglio is a Sacramento-based Democratic public affairs consultant. He served as press secretary to Gov. Gray Davis and was a Clinton delegate to the 2016 Democratic National Convention.